protections like: chains, buckles (however, I have heard, that we will meet some close to Negoiu, but they are in very bad technical condition ). 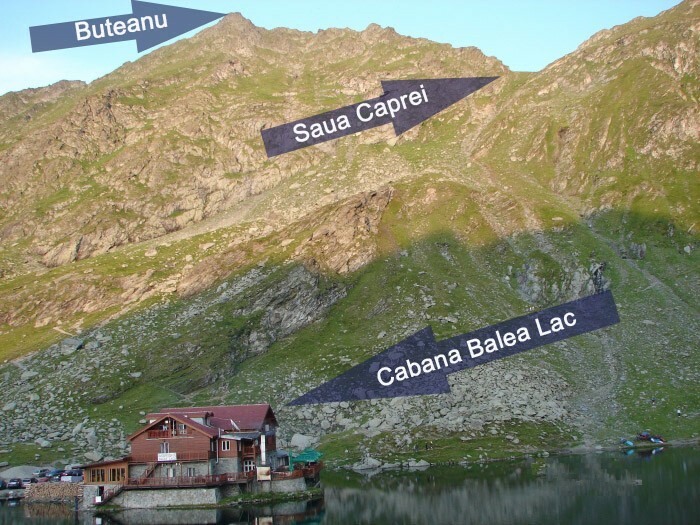 The start of our route is near the hotel called Cabana Balea Lac.I don't write route marks, because lots of them intersects each other. 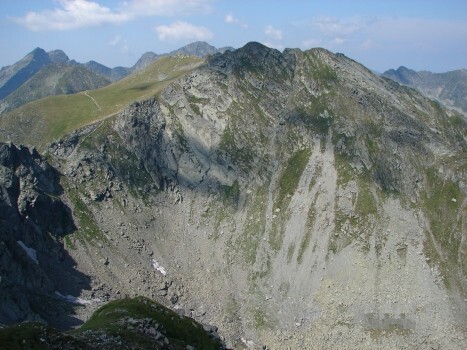 You just have to hike up to the Saua Caprei (Caprei Pass-marked in attached photo) - about 1,15 hour. 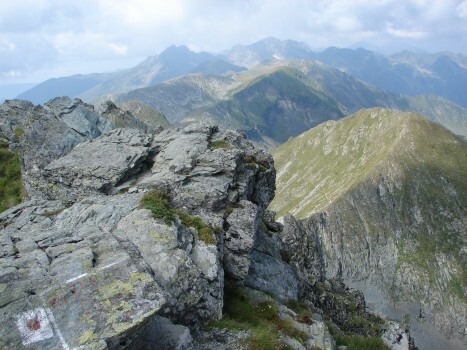 From the pass to the top of Buteanu You have to hike blue cross marked route ( approx. 2 hours ). Return the same route, or from lake Lac Capra You can hike ahead blue cross marked route to the asphalt road ( on the road turn right ). The secon variant gives You unique opportunity to go through tunnel leading the inside of mountains (approx. 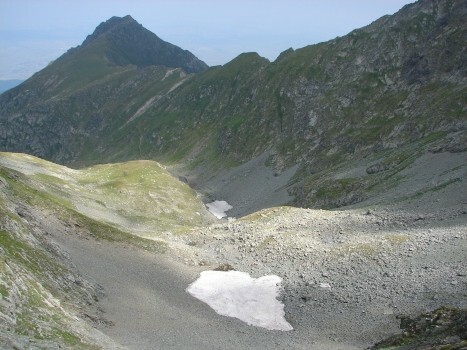 1,5 km). 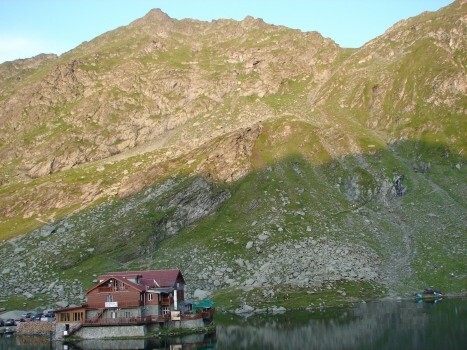 on Balea Lac in the same day is impossible. prices are reasonable and the places of changes are given on Your ticket (as well as time of arrival and departure). in Cirta village, but despite good standard of camping, it is too far ( approx. 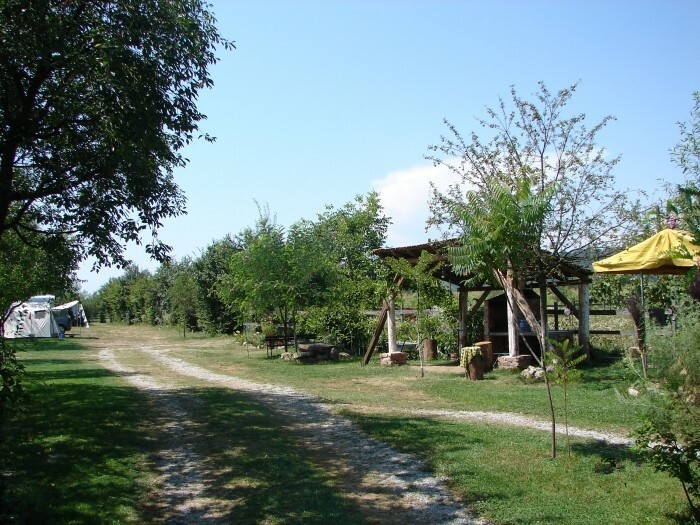 30-40 km ) from the mountains. 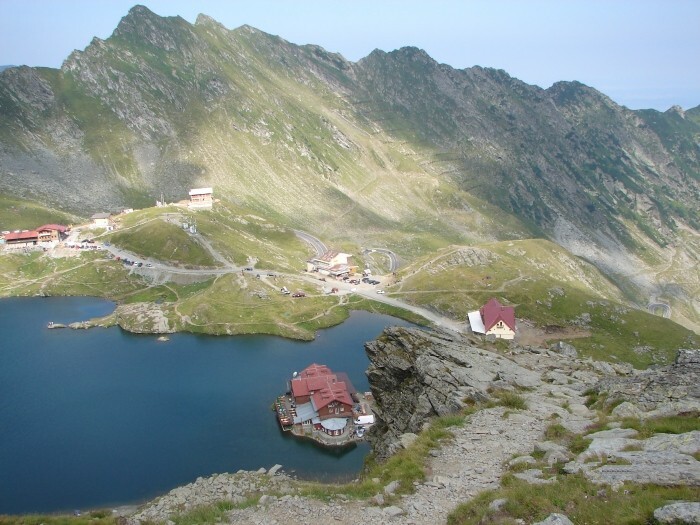 From Cirta I went to heart of Făgăraş by hitchhike through Causcescu road - to the lake Balea Lac (something similar to Polish lake in Tatras - Morskie Oko). You can buy some things here, like: map, food ( from numerous street traders ). The curiosity are first boiled, and then the grilled maize ( corn ). There are two hotels - but quite expensive. However, You can set up camp everywhere You want and majority of tourists do so. In the mountains are several shelters, but you should know that tourists willing to stay at night can be more than available place inside.